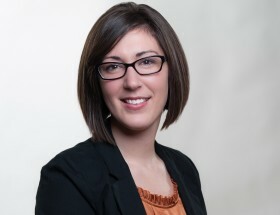 Samantha joined DK Pierce with over 7 years of experience in the health care and insurance industries. Prior to joining DKP, Samantha was an Office Manager for a Pediatric Dental Office where she worked directly with Indiana Medicaid and the CHIP program, as well as various commercial insurance companies to secure patients's access to pediatric dental procedures and surgeries. Her responsibilities included verifying patients’ benefits, managing prior authorization requests, determining patients’ cost share requirements, and assessing anticipated and actual reimbursement. She was also responsible for supervising the duties and responsibilities of the practice staff, managing accounts receivable, analyzing monthly financial data, and implementing policies to support the financial health of the practice. Samantha supports DKP PayerScope® market monitoring services by researching and analyzing policy and reimbursement changes for Medicaid programs. She tracks the latest Medicaid updates in our proprietary DKP Compass™ database with information from Preferred Drug Lists, injectable fee schedules, provider bulletins and manuals, and Pharmacy and Therapeutic (P&T) and Drug Utilization Review Board (DUR) committee meetings to keep our clients aware of changes affecting access to their products and competitive products. Zoee is an elite German Shepard in simple terms. She was our first doggie addition to our family. In her free time Zoee loves to play with her tennis balls, frisbees, and lounge in her baby pool. 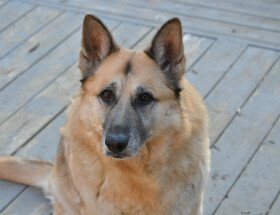 Zoee is one that likes to have her own space but will play along great with other furry friends. Even though she may be big and intimidating, she has a heart of gold. 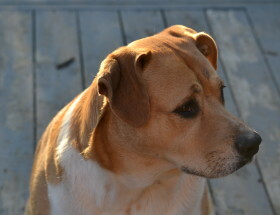 Lolaa is a mixed breed of Lab and Pit-bull that gets distracted at a drop of a dime. She was our second doggie addition to our family. Lolaa loves to chase squirrels, chew on sticks, and lounge in the sun. She is such a lover to other furry friends and to humans. Lolaa provides us with lots of kisses and snuggles on the couch. Even though she weighs over 85 pounds, she will always believe she is a 10-pound puppy at heart.